Anyone with kids knows that you need military-grade protection for all your devices. If you don't surround your phones, tablets and laptops with industrial-strength padding, you're running a real risk of scratching your device's finish, cracking the screen, denting the body, or worse, completely wrecking it. Unfortunately, in most cases that means living with an ugly, bulky case. Enter Speck to the rescue! Speck makes protective cases for phones, tablets, and laptops. Their cases offer great protection -- many lines claim military-grade protection -- without sacrificing color or style. 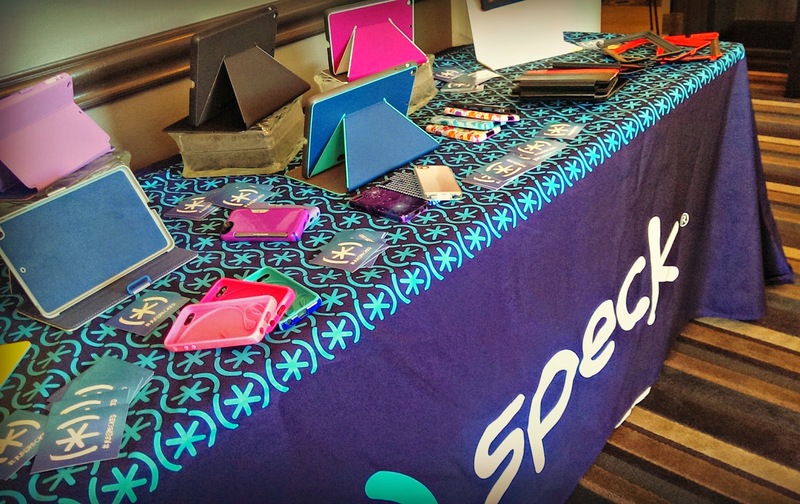 Speck offers a literal rainbow of colors and options! They have cases for many brands and models: iPhones, iPads, macBooks, Samsung tablets and smartphones, Amazon Fire smartphones, Google Nexus smartphones and tablets, to name just a few. 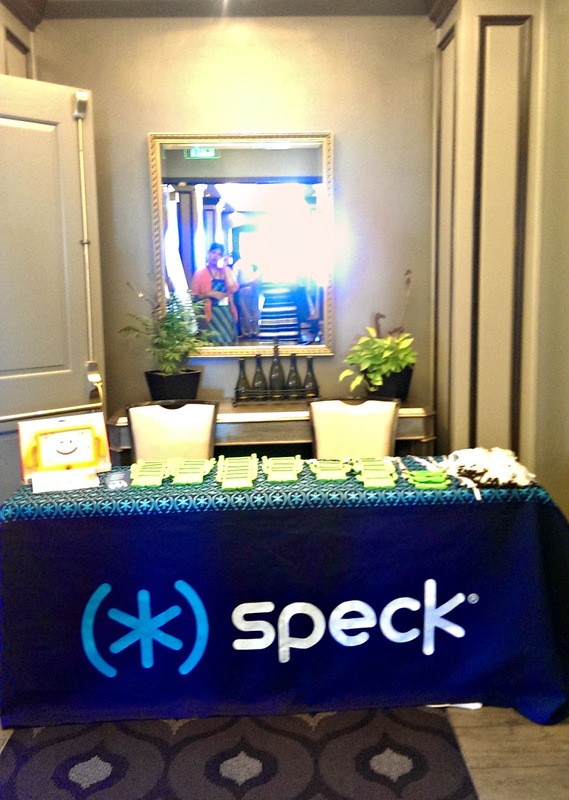 Last week Speck invited me along with other bloggers to their #ReSPECKed Suite in San Jose to check out their latest models and designs. 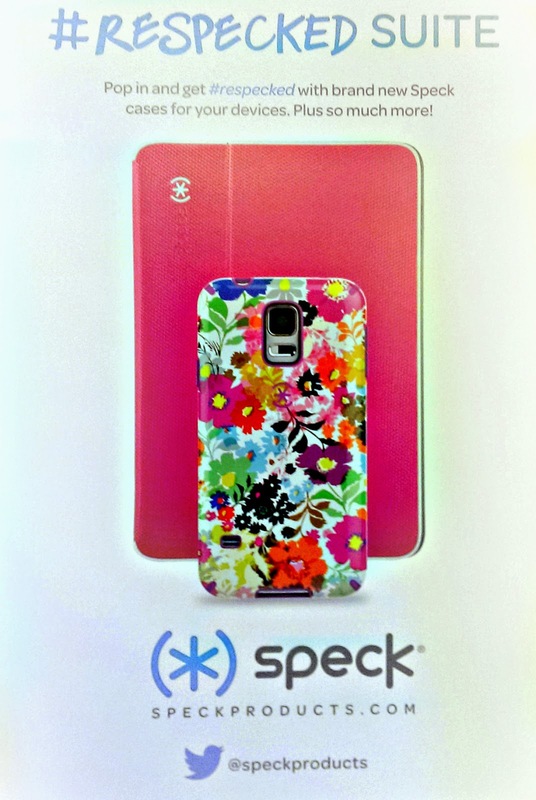 Bloggers were invited to browse Speck's offerings and pick out some to take home to review or give away. The suite was chock-full of pretty things that day: pretty Speck cases, dainty sandwiches and desserts, a Stella & Dot table featuring Stella & Dot's latest fashion accessories, and gorgeous :) bloggers posing for headshots, taken by Tina Case Photography. Tina is a blogger and a photographer, and she's awesome at doing both. Just look at the headshot she took of me! My hair was frizzed up from the heat and I wasn't wearing any makeup, but somehow she managed to take the best photo of me that I've seen in a long time. As pretty as my headshot turned out, I can't compete with all the Speck cases that were on display. I loved all the colors and designs! One of my favorites was the new CandyShell Inked smartphone cases. 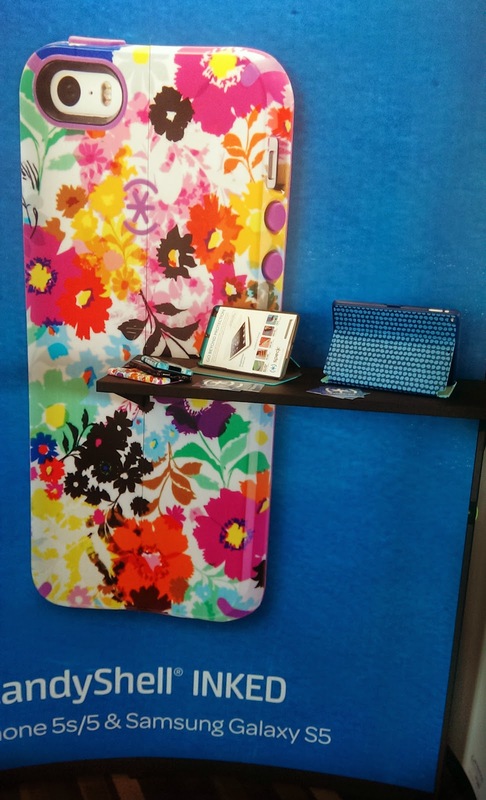 They feature hi resolution graphic designs, like the colorful floral one in the photo, on a military grade protective hard shell case. How's that for bold and beautiful? The CandyShell Inked is currently only available for the iPhone 5s/5 and the Samsung Galaxy 5S, but I'm holding out hope that they'll start making it for other Android devices like the HTC One or Moto X. 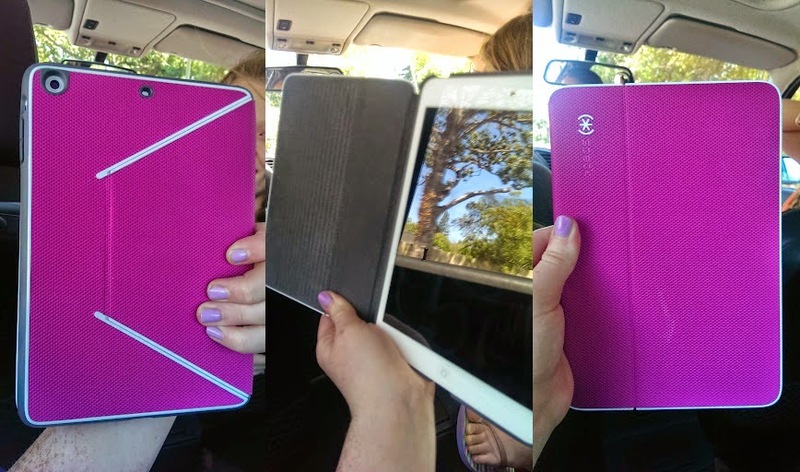 Another big winner was the DuraFolio case for the iPad air and iPad mini. This is great because kids love using iPads and iPad minis, but they're never as careful with the devices as we parents want them to be! The DuraFolio offers great protection, but doesn't add bulk, so you still get to enjoy that sleek, elegant Apple profile. 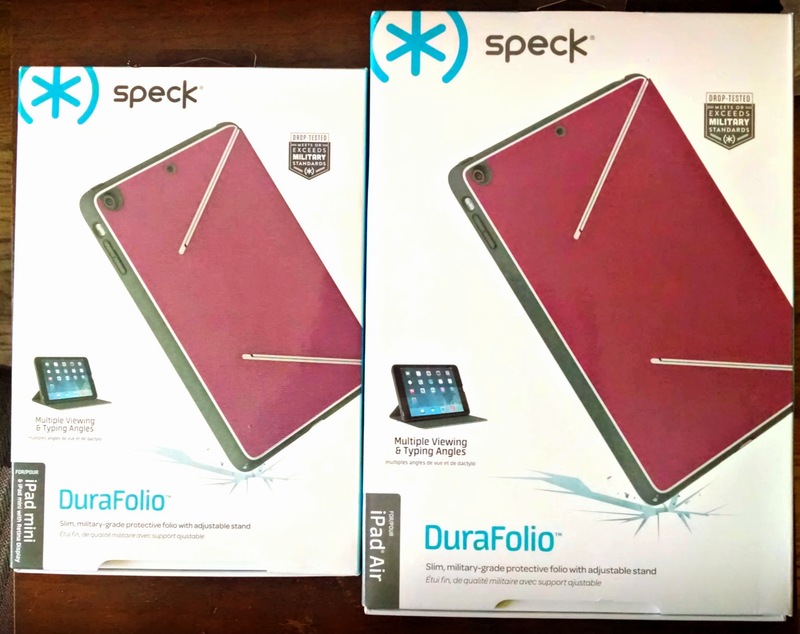 As I mentioned in an previous Speck product review, you can actually encase your iPad in the DuraFolio, then throw it on the floor, and it won't crack! Leave a comment on this post and tell me which Speck product you or your child would most like to try. 4) Pin this giveaway on any of your Pinterest boards, using the hashtags #reSPECKed and #giveaway (1 entry -- you can use the "Pin It" button at the bottom of this page!). This giveaway ends at 11:59PM PST on August 20, 2014; I will draw a winner at random, on August 21and post their name after they confirm acceptance. Continental US residents only. For additional giveaway rules, click here. Disclosure: Speck invited me to a blogger event and provided samples to review and/or give away. No monetary compensation was received. The views and opinions expressed here are my own. The start of a new school year is almost here! The kids are already groaning about how much work they're going to have to do, but fortunately all 3 of them do well at school and enjoy learning. They've always loved math, but last year Po and Jammy actually began to love reading and writing. They've immersed themselves in chapter books, and 3Po has even continued the stories he began writing in 4th grade! I couldn't be more delighted, because writing not only develops critical thinking skills and vocabulary, it's also a form of artistic expression that fosters kids' emotional development. Writing is critical to a child's academic achievement, and that's why BIC has launched the "Fight for Your Write" campaign. The campaign, which can be found at www.bicfightforyourwrite.com, offers information about writing and tips from literacy expert Pam Allyn to help parents, caregivers and students make a commitment to write more often. Check it out, and see how much fun and how empowering writing can be! 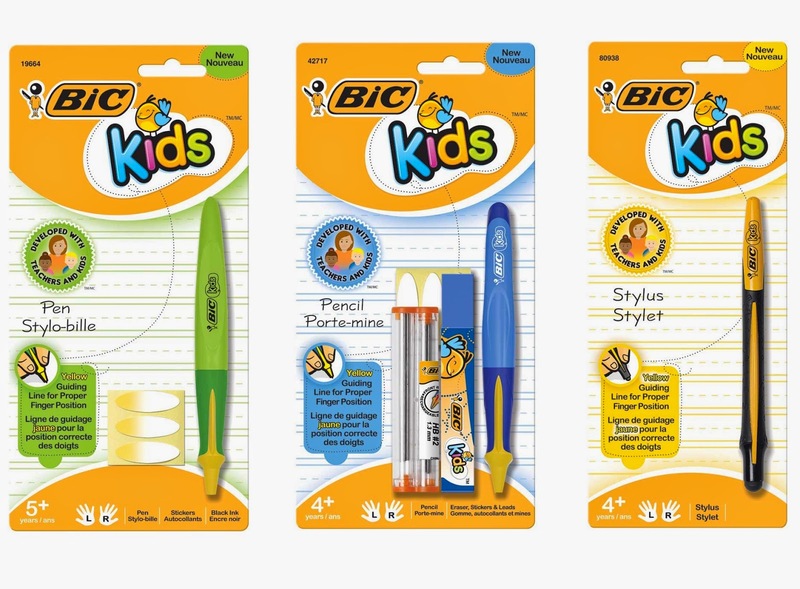 BIC Kids is a new line, ergonomically designed specifically to help young children learn to write. The line includes a mechanical pencil, ball point pen, and stylus. Each product features a no slip grip and and a raised finger line that helps kids with the correct finger placement so they can grip their pencils correctly. 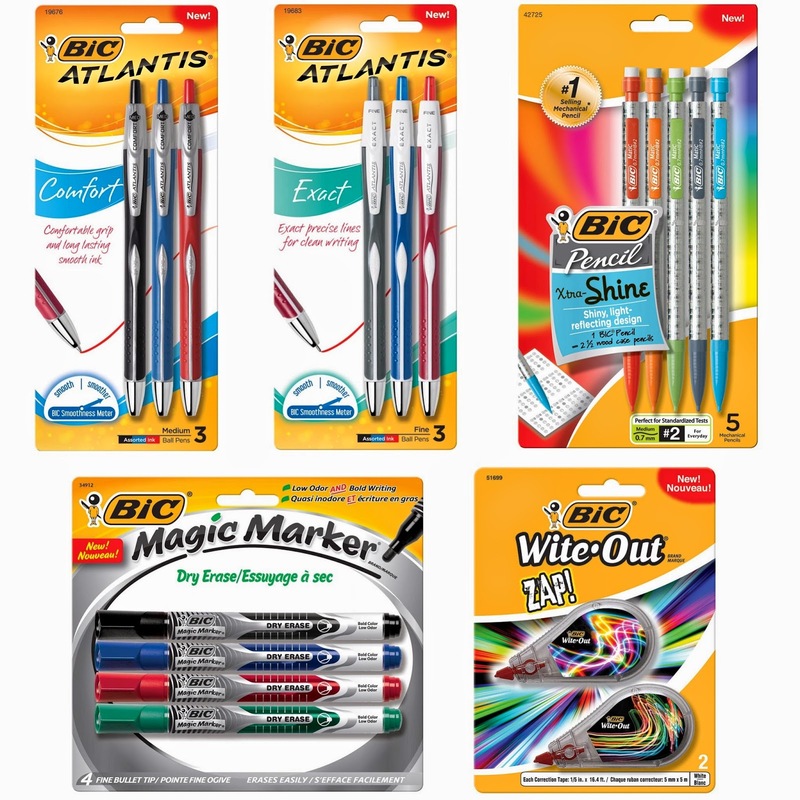 Other BIC Back-to-School offerings include their Atlantis comfort line (with smoother flowing ink), Atlantis exact line (with a fine, precise point), Extra Shine Mechanical Pencil (a collection of fun metallic colors! 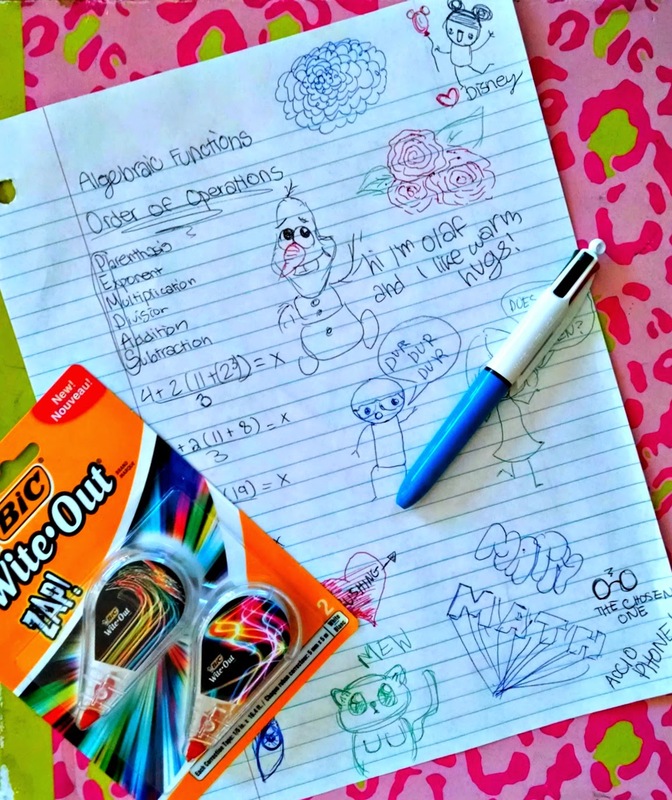 ), Magic Marker brand Dry Erase Marker, and Wite-Out brand Zap! 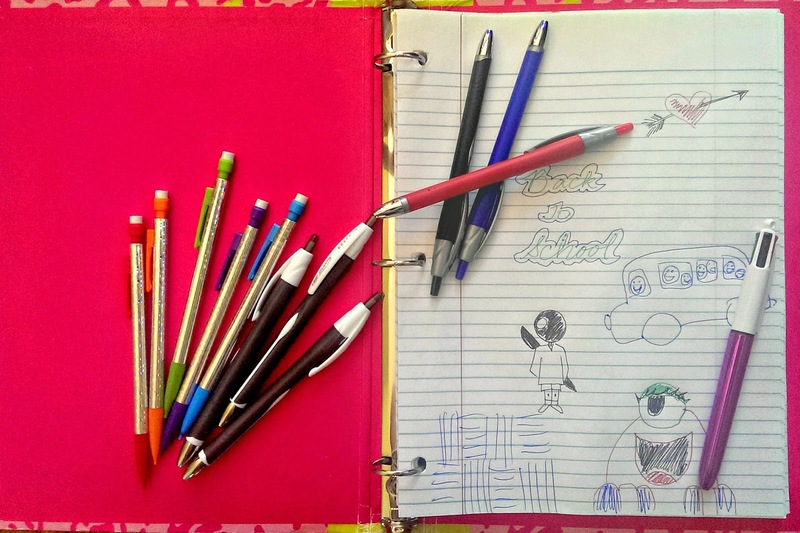 BIC has your child totally covered for all his or her Back-to-School writing needs, so make sure you stock up on these cool supplies to inspire them to keep on writing! 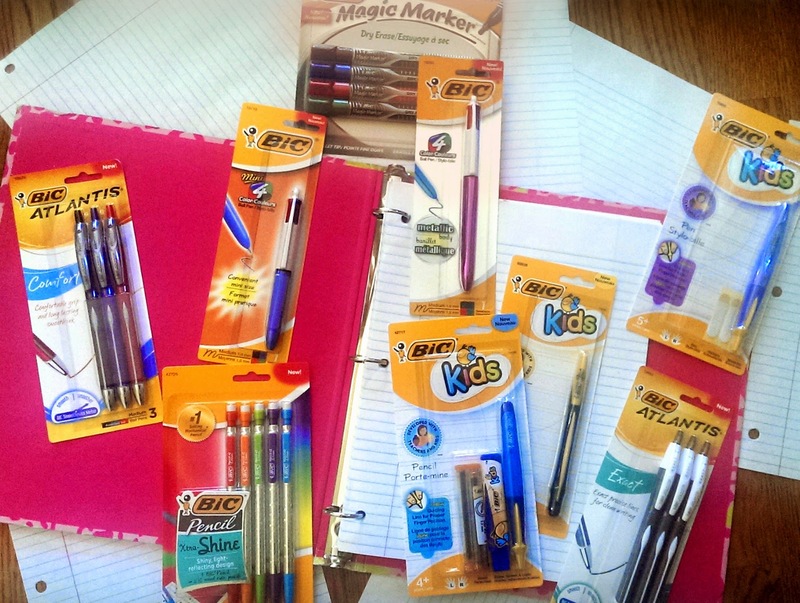 One lucky Bonggamom Finds reader will receive a BIC Back-to-School prize pack with all the products in the BIC 2014 Back-to-School line! 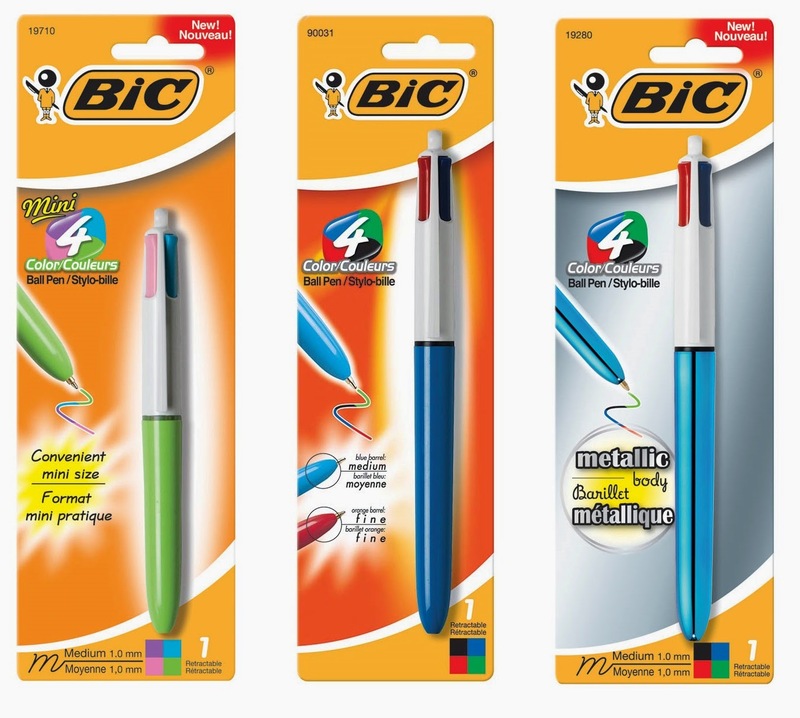 Leave a comment on this post and tell me which BIC Back-to-School product that you or your child would most like to try. This giveaway ends at 11:59PM PST on August 14, 2014; I will draw a winner at random, on August 15 and post their name after they confirm acceptance. Continental US residents only. For additional giveaway rules, click here. Disclosure: BIC provided product samples to facilitate my review, as well as the giveaway prize on this post. Product information (in italics) is provided by the featured company/product. The views and opinions expressed here are my own. Last year I had the honor of serving my sons' elementary school as PTA president. I've always known that committed and generous parents make a huge difference in the quality of my sons' education, but during my term as president, it really hit home just how little funding we get from the state. Our school district relies almost exclusively on donations to fund arts and music programs, classroom aides, and support services like counseling and special education. And to think we live in Silicon Valley, a place with no shortage of talented, high-income parents! Lucky as we are, we still need help -- and schools in less privileged areas need even more help. One of the quickest and easiest ways to raise money for your school is to donate your children's gently-used, brand-name clothes to Schoola, an online consignment store that gives a portion of its proceeds (40%) to schools in need. Donating clothes to Schoola is a bit like donating them to Goodwill, except that you don't have to drive anywhere to drop off your Schoola donation (you request a donation bag, you fill it up, and mail it back to Schoola), and you get to specify who benefits from your donation. Your chosen school gets money for their programs, without the hassle of running a used-clothing drive. Don't forget, you can also shop at Schoola for your own kids, at a fraction of the retail price! My kids have benefited so much from their school's music program: The Pea is on her 4th year of playing flute in her school band, 3Po is on his second year with the cello, and Jammy will be starting the clarinet. They love music and they love playing their instruments, but I would not be able to afford private music lessons for all 3 of them. 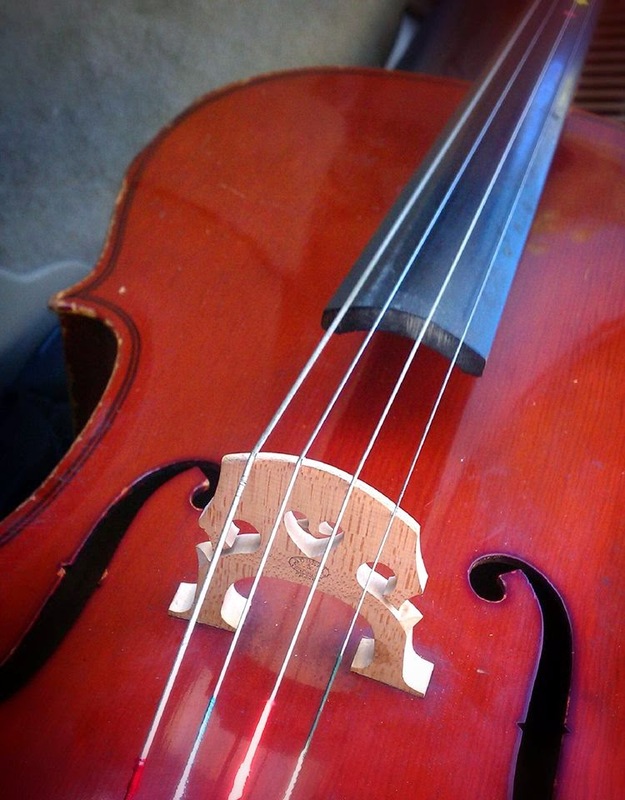 It has been shown time and time again that a musical education helps develop analytical abilities, math skills, and confidence in kids, and if I had my way, every single child in public school should have music classes. Here's how you can participate in the 20 Days of School Program. For every transaction made through this unique link, Schoola will donate $1 to the KIPP Academy. For every person who requests a Schoola donation bag via this unique link, Schoola will donate $1 to the KIPP Academy. BUT WAIT, THERE's MORE: when you donate clothes and fill out your school information, $2 of every $5 made will go back to that school you have chosen to support! It's a Win/Win for the KIPP Academy, and for your readers' schools! The 20 Days of School program runs through August 16, so please spread the word, request a Schoola donation bag, and shop at Schoola! It hasn't even been three weeks since the World Cup ended, and already I'm missing all the excitement that comes with watching great soccer and supporting your favorite team. While I have a soft spot for Germany (who won the cup) and the Netherlands (who placed third), the team we really went all out for was Team USA. The USMNT had an amazing tournament; even though they didn't get past the round of 16, they played their hearts out, and played beautiful, world-class soccer. Who will ever forget Tim Howard (aka the US secretary of Defense) and his record-breaking saves in USA vs BEL? Even more thrilling for me to watch was the support that came from American fans. Soccer is not a big sport in the US, not compared to football, baseball and basketball, but it is growing in popularity. It was amazing to see 20,000 screaming fans gathered in parks across the US, cheering and waving flags! We had our own local viewing parties, and the family all turned up in Team USA apparel: hats, shirts, glasses, and buttons in red, white, and blue! 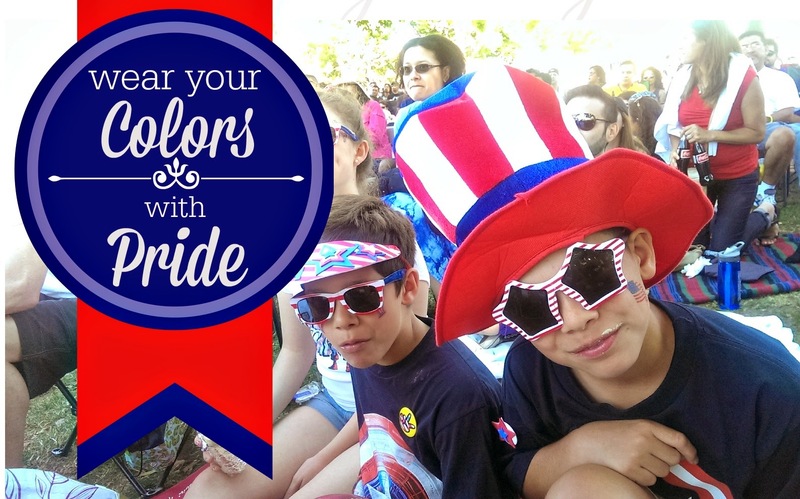 Fortunately, it's easy to theme your outfit to Team USA: just wear blue jeans, a red or white shirt, and red or white hat or flower on your head. 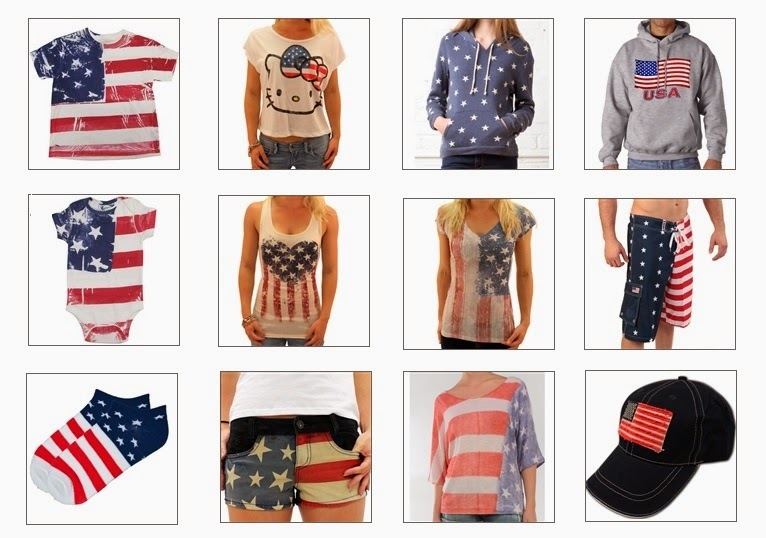 But it's so much more fun to bedeck yourself from head to toe in the American Flag! That's where TheFlagShirt.com comes in -- they've been a family owned business for over 70 years, and they're as American as the products they sell. The merchandise on TheFlagShirt.com goes way beyond the standard Stars and Stripes on a shirt! Here are some of my favorite products from TheFlagShirt.com. They use the stars and stripes in so many imaginative ways! Don't you just love the Hello Kitty USA shirt? I especially love the vintage styles and the distressed styles. And how about those Stars and Stripes Board Shorts!? Check out the sweatshirt that TheFlagShirt.com sent me -- isn't so wonderfully over-the-top? The design is screen printed on the shirt, and it's going to take decades for that design to fade (and if it does, well, it's okay because it's a distressed print!). I love it because a lot of the games we watch are in the evenings, when it gets chilly. It's all very well to wear a TEAM USA shirt, but when it gets cold, you have to cover it up, so why not get some TEAM USA outerwear like my awesome new sweatshirt? I love it! It's perfect for summer evening barbecues and nighttime fireworks displays! Giveaway: Happy National Milk Chocolate Day! Celebrate with a Balance Bar chocolate giveaway! Today, July 28, is National Milk Chocolate Day! Although dark chocolate is all the rage nowadays, milk chocolate is still the most popular kind of eating chocolate. And although everyone in my family now prefers dark chocolate, that doesn't stop us from eating and loving milk chocolate :) After all, we all started out eating milk chocolate, and milk chocolate is a classic comfort food that brings back lots of childhood memories. * Milk chocolate contains chocolate liquor (the centers of cocoa beans ground to a liquid), extra cocoa butter (cocoa butter is the fat naturally present in cocoa beans), sugar, an emulsifier (often lecithin) and vanilla or other flavorings, plus dry milk solids. Milk chocolate has at least 10 percent cocoa liquor by weight, and at least 12 percent milk solids. * Difference between milk chocolate and dark chocolate: dark chocolate does not contain milk solids. * Difference between milk chocolate and white chocolate: white chocolate does not contain chocolate liquor. * Milk chocolate has about twice the amount of sugar in dark chocolate. * Milk chocolate was invented in 1875 by Daniel Peter, who combined cocoa with condensed milk (which had been invented by fellow Swiss, Henri Nestle). To celebrate National Milk Chocolate Day, Balance Bars will send one lucky Bonggamom Finds reader a box of Chocolate Craze and Double Chocolate Brownie Balance Bars! National Milk Chocolate Day is the perfect time to enjoy the taste of milk chocolate, without all the fat and sugar! Balance Bars taste like chocolate but have more fiber and protein, so they're a healthier treat. Leave a comment on this post and tell me which milk chocolate treat is your favorite. This giveaway ends at 11:59PM PST on August 10, 2014; I will draw a winner at random, on August 11 and post their name after validating entry and confirming acceptance. Continental US residents only. For additional giveaway rules, click here. Hello's packaging is so unique, you're going to want to display it in your guest bathroom instead of hiding it away in your medicine cabinet! Their packaging features a uniquely fresh, modern look, with clean, simple lines and bright colors. In fact, Hello's packaging was developed by BMW Group Designworks USA. Yes, BMW! Hello toothpaste, mouthwash, and breath spray have the minty fresh taste that everyone loves, but in milder quantities than most oral care products, so kids aren't overwhelmed. The fiery mintiness is tempered with a hint of sweetness -- hence the flavor names like Pink Grapefruit Mint, Sweet Cinnamint, and Mojito Mint. Even the Supermint flavor is more like a Spearmint. I think I've become addicted to their breath spray! Hello products are free from alcohol, dyes, and artificial sweeteners. They're suitable for vegans, and they're never tested on animals. Hello is available at drugstores across the country. Olives are a staple in our home. We love their salty, tangy flavor! When our love affair with olives began, we mostly stuck with plain black olives from a can, but over the years our tastes have broadened. Nowadays, I head to our grocery's olive bar about once a week and stock up on kalamata olives, haldiki olives, manzanilla olives, whatever strikes our fancy. Olives in brine, olives in oil.... 3Po, Jammy, Alfie and I can't get enough of them! There isn't an olive we won't try, and so far, there isn't an olive we don't like. So when Oloves olives offered to send us samples of their flavored green olives, we were thrilled! Oloves are green olives infused with some pretty yummy flavors, packed into 30g portions. They're gluten free, vegan friendly, 100% kosher.... and 100% delicious. I can't think of a better name than Oloves, because we sure do love them. I love the individual portions, because it means I can throw a pack into their lunchboxes. Each portion is 50 calories, which makes it easy to control your portions (the boys can eat them like potato chips, so it's way too easy to overeat!). The Basil and Garlic is everyone's favorite, and the Lemon and Rosemary give a refreshing twist. Alfie loves the 2 varieties with Chili because he likes it hot! Oloves are a great snack all on their own, or you can toss them together with cubed tomatoes, cubed cucumbers, thinly sliced red onions, crumbled feta cheese, and a splash of red wine vinegar and olive oil for a delicious Greek salad! Normally I'd use kalamata olives, but using the flavored Oloves gives the salad a unique taste and sets it apart from the classic Greek salad. Yum! 3Po and Jammy love to draw. Some kids act out scenes in their imagination through LEGOs. Others use Playmobil. Other use action figures, stuffed toys, dolls. 3Po and Jammy do all of those, but the way they love best is to draw. They literally spend hours drawing, and talking to each other as they draw, explaining the characters and the worlds and the action and the stories that unfold as they put pen to paper. They use up dozens of sheets of paper per day. I'd need an entire room to store all the drawings they have made over the years. I let them keep their favorite ones, and I take photos of many of them, but I'm sure many of their characters and scenes have found their way to the recycle bin (I'm sure I'll regret that once they become famous artists). These days, there are many ways to preserve your child's artwork, beyond the classic frame. There are companies that turn kids' artwork into greeting cards, postcards, stickers, tshirts, bookmarks, mugs, and so on. 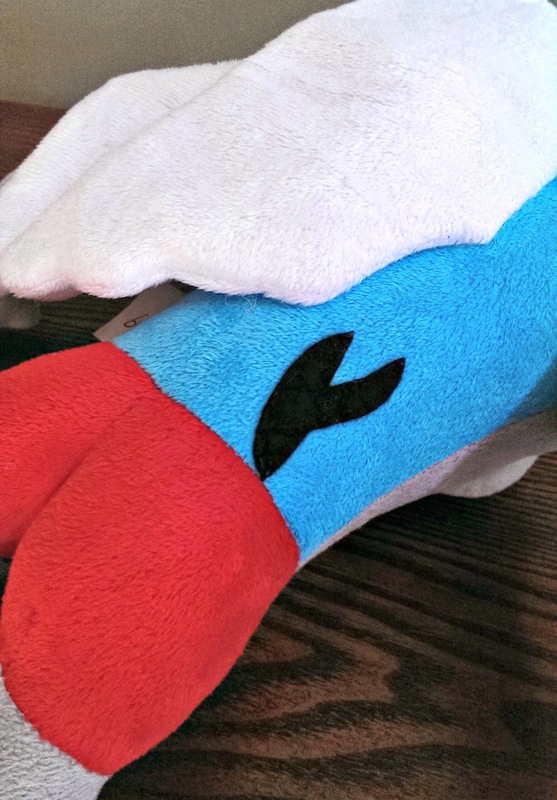 Recently I discovered the most original way to preserve artwork -- turn it into a stuffed toy! 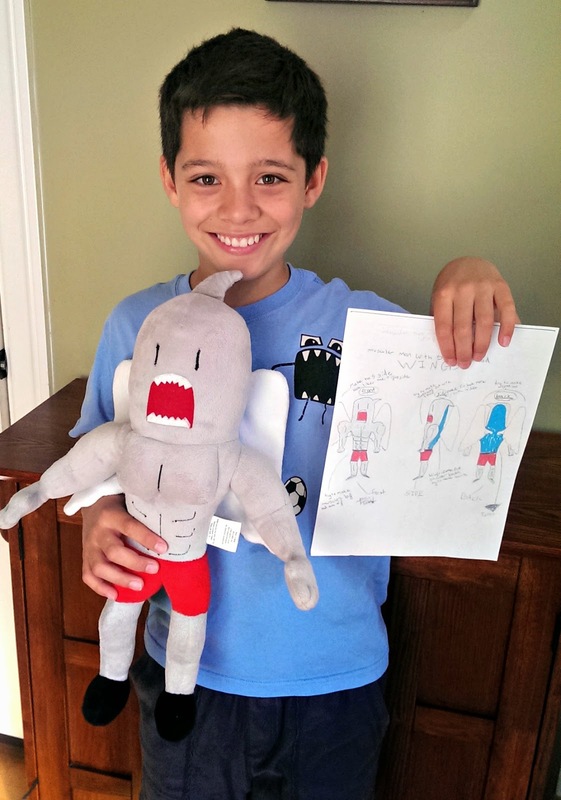 Budsies brings kids' artwork to life by transforming it into adorable custom hand-sewn stuffed animals. Just upload a drawing to Budsies' online order form, and their artists and craftsmen do the rest. When 3Po and Jammy learned that Budsies had offered to turn one of their drawings into a stuffed toy, they couldn't believe it: the creatures of their imagination, made real! They spent a lot of time and effort into designing and planning their Budsie (and loved every minute of it). 3Po loves cows. 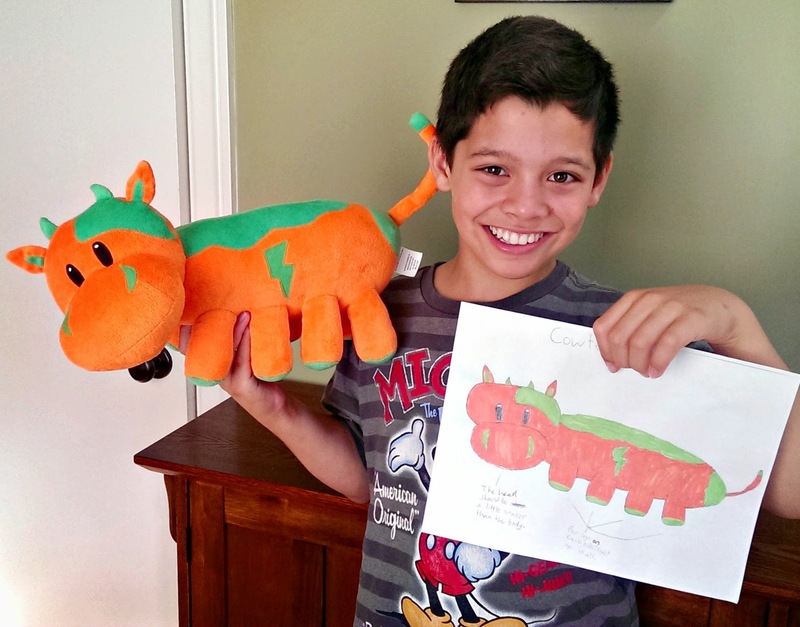 He owns about 10 stuffed cows, so he wanted to add a very special cow to his collection: a "cowterpillar", a cow with 8 legs. 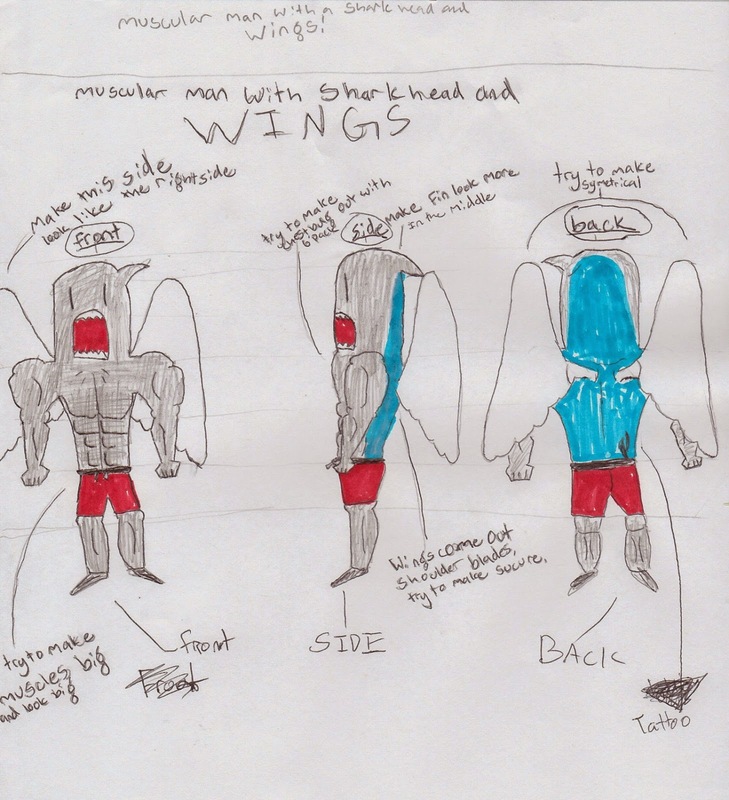 Jammy reached into the depths of his imagination and drew a man-shark with wings. 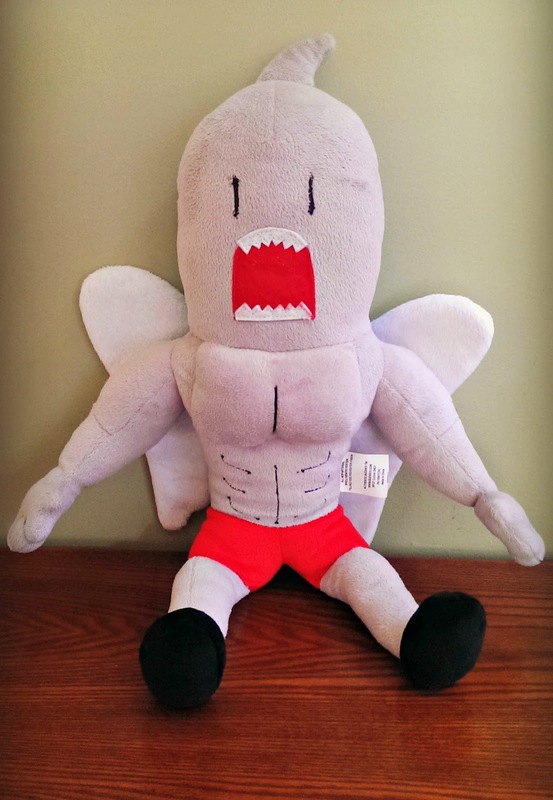 A very muscular, buff man-shark with wings. Don't ask me how or why he came up with it.. Jammy was extremely particular about how his man-shark should look, so he drew a front, side, and back view, with extensive notes for each view. I tried to manage his expectations by saying that I wasn't sure whether Budsies could make his man-shark look exactly like the drawing, and that it might be difficult to get all the detail that he put it. The boys bugged me almost every day from the time we ordered the Budsies till the time they arrived. They were so excited to see their new friends! 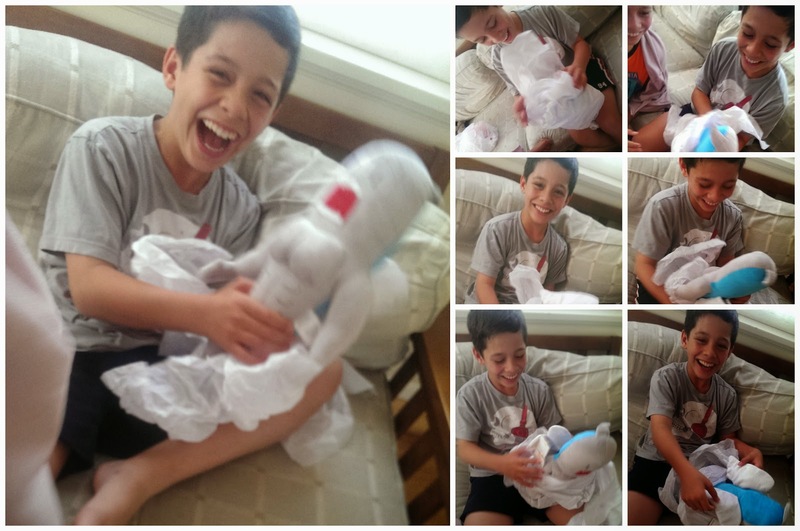 I don't think I've ever seen them so excited about a stuffed animal. When the Budsies arrived in the mail, we opened the box, and the very first thing I saw was a note from Budsies. The note said it might be a good idea to get the camera out so we could capture the expression on our kids' faces as they opened their packages and saw their Budsies for the very first time. Boy was that a brilliant piece of advice!! The surprise and delight on their faces was such a joy to behold! As soon as 3Po saw his cowterpillar's head, he breathed, "Wow, it looks EXACTLY like my drawing.... it's PERFECT!" Those smiles on our kids' faces are what we parents live for. Those are the smiles we would go to the ends of the earth to get. Check out 3Po's cowterpillar. It is amazing. From the big, round nose to each fat little leg (all 8 of them), the cowterpillar is a 3D replica of 3Po's drawing. As Alfie put it, it looks as though the Budsie came first, and 3Po drew it on paper by copying the Budsie! They even got the black birthmark on his lower back! The boys love their new Budsies. Cowterpillar and shark-man (Jammy has named him Nick Abbsworthy, the Sharchangel) have joined their stuffed animal legion, and they have been playing together every day. Each Budsie is about 16" in height or length, and takes about 5 weeks to create. They cost $99 regularly, but right now they are on sale for $69. 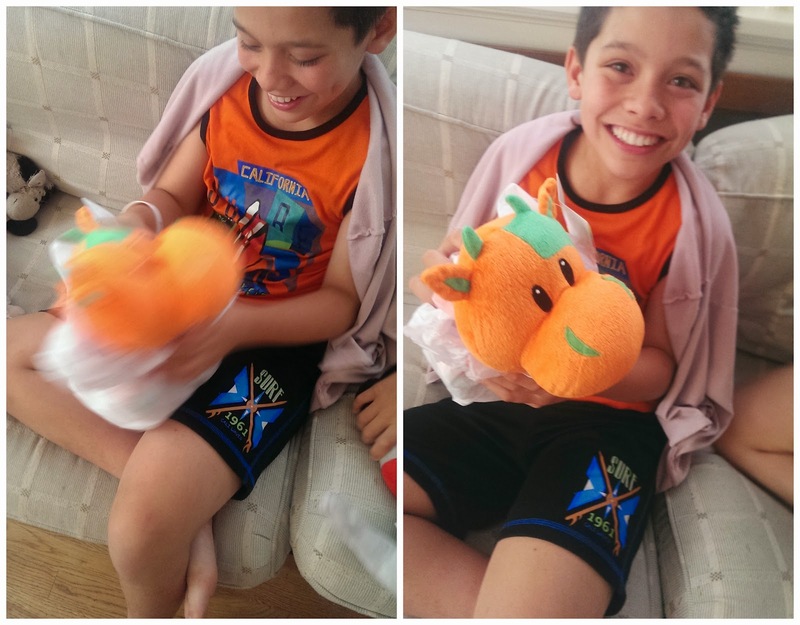 I know that sounds like a lot for a stuffie, but it's a CUSTOM stuffie and the most unique, personalized present for a child you can think of. I can't tell you how delighted my kids were to have the characters of their imagination come to life! There's just no better way to preserve the artwork of their childhood, and I would recommend Budsies to anyone. If your child is experiencing artists' block or can't figure out what to draw, head to Budsie's Templates page for inspiration. The character gallery is also a great place for inspiration. 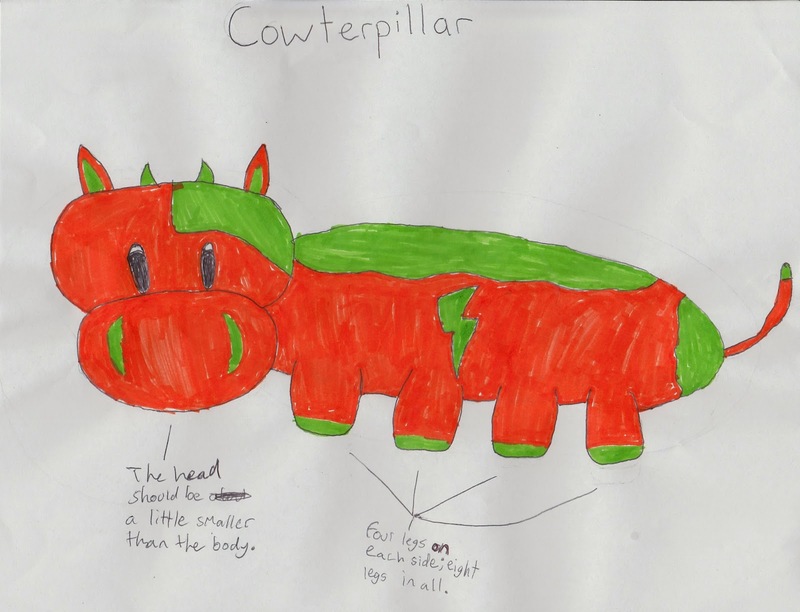 You can encourage older kids to draw the side view and/or back view of their creature. The online order system only accepts 1 photo, but you can include front/side/back views in a single photo, or send additional photos to customer service. The online order form has space for you to leave comments and descriptions of your child's creature. Be as descriptive as you can! The Pea loves nail art. She's constantly designing and painting all kinds of cool things onto her (and my) nails! She's always on the lookout for new colors and new tools to help her create her nail art, and I'm only too happy to support her in her artistic endeavors. We were at Hamley's Toy Store in London last month, and we saw the most awesome nail art tool: a set of nail polish bottles that had a brush for applying polish and a fine applicator tip for drawing! We were amazed at how easily we could use it to create fine nail art designs -- but the set cost £25 for 6 bottles! Ouch! I told The Pea we could probably find something similar for far less cost in the US -- and I was right. Just a few weeks after our trip to Hamleys, we discovered Hot Nail Designs Nail Art, which has the exact same concept -- a brush for polish and a tip for drawing -- and it costs just $14.99 for a set of 8! They are shaped like pens (which makes them even easier to handle), and The Pea has been able to create some amazing designs with them. I can't recommend them enough! Create hot, fun and unique designs on your nails right at home with Hot Designs™ nail art pens! These specially formulated nail art pens allow you to create a base color and then apply unique, precision designs for a modern and stylish look on your nails! Use Hot Designs™ nail art pens to create unique designs including dots, stripes, rainbows or whatever else you may desire! Each kit comes with a Design Guide including great styles to try at home, or feel free to get creative and make unique designs on your own! It's fun to use, easy to remove and it will make your nails look better than ever! These pens are AMAZING!!! We love them! Check out all the intricate designs that The Pea was able to paint onto my nails! My left hand is full of designs featured on the instruction booklet. The step-by-step instructions for each design are super easy to follow, and it's easy to take inspiration from those designs and make your own (like the strawberry on my thumb). I think the floral design on my pinkie finger is probably the best, most professional-quality nail The Pea has ever done. On my right hand, The Pea painted some of her favorite cartoon characters. 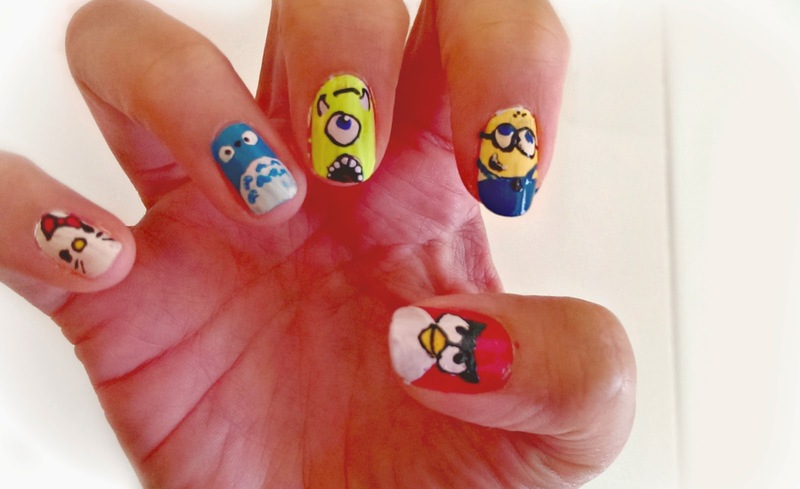 Thanks to the Hot Designs precision tip, she was able to outline all the facial features on Hello Kitty, Totoro, Mike Wazowski, a Minion and an Angry Bird! 1) The kit comes with an instruction booklet filled with lots of ideas and tips. 2) The instruction booklet has "practice space", i.e. blank nail outlines right next to the sample illustrated nail designs, so you can practice painting the design. 3) The kit comes with 2 fine precision tip cleaners, so you can make sure your precision tips never get clogged. 4) The applicator pens made of soft plastic, so it is easy to apply a gentle, even pressure and get a thin, even stream of polish. 5) The nail polish itself seems to be thinner than regular nail polish, so it is easy to make very fine lines, dots, swirls, and designs. It is difficult to get a smooth, even coat, so I don't recommend using it to cover large areas. Probably this is because (like I mentioned earlier) the nail polish seems to be a bit thin, and the brush itself seems a bit thick . I highly recommend using your own regular nail polish for the base coat, and save the Hot Designs Nail Art pens for what they do best -- drawing fine lines and designs with the precision tip! Win the ultimate beach package including a $250 Target gift card!Enter at GetHotLooks.com/contest. Just submit a selfie of your summer style using the hashtag #WinHotLooks and at-tag @GetHotLooks on Twitter, Tumblr, Pinterest, or @Get_Hot_Looks on Instagram. 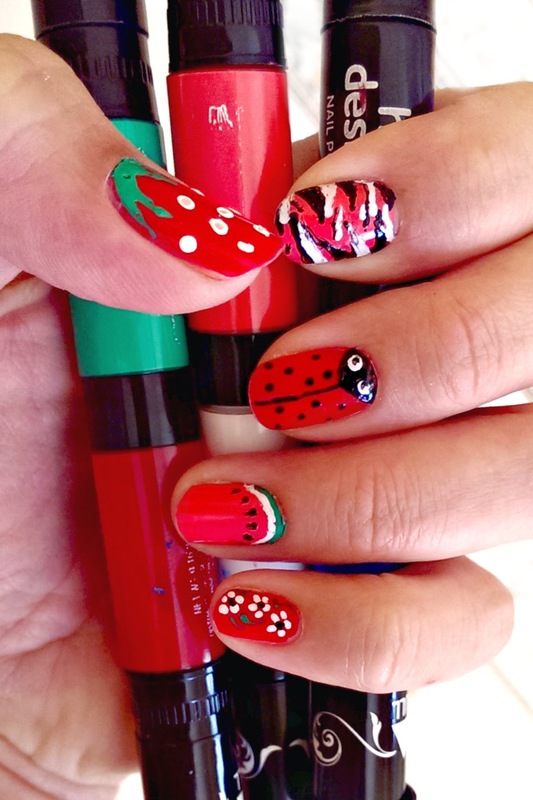 One lucky Bonggamom Finds reader will receive a set of Hot Designs Nail Art Pens! 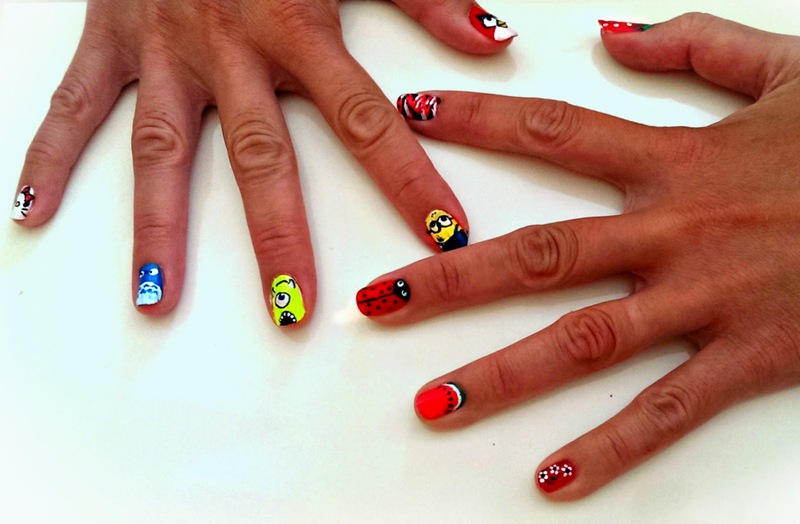 Leave a comment on this post and tell me which nail art design is your favorite. This giveaway ends at 11:59PM PST on August 6, 2014; I will draw a winner at random, on August 7 and post their name after they confirm acceptance. Continental US residents only. For additional giveaway rules, click here.